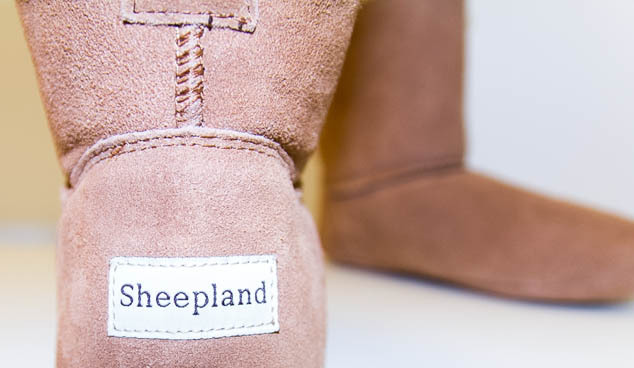 Sheepland slipper boot are made with entirely natural sheepskin and are such warm and comfy slippers. 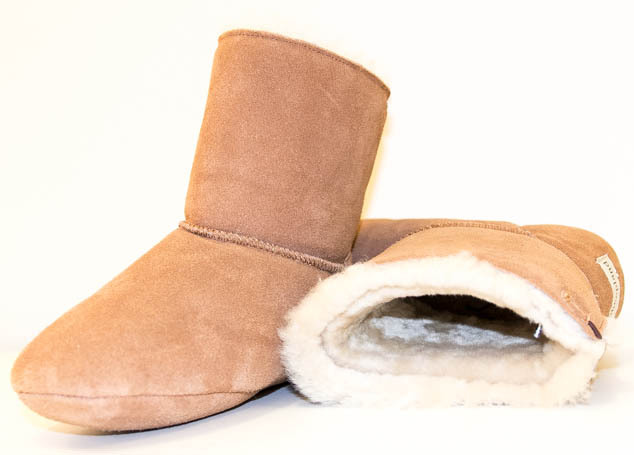 They are really luxurious slipper boots and are really similar in quality and design to UGG boots. 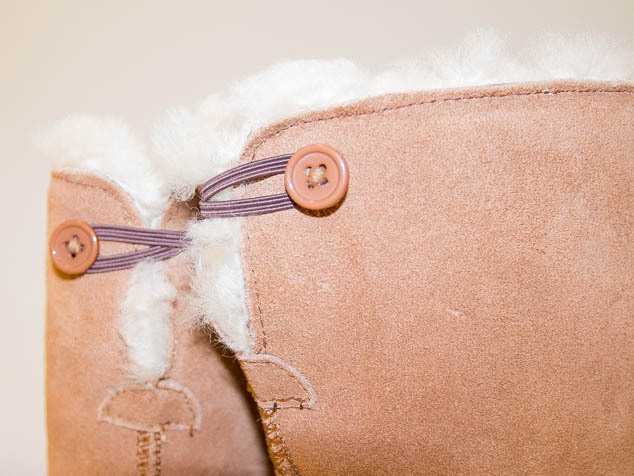 The boots have a button toggle so they can be worn up or be rolled down. When I first put them on I thought I must have received the wrong size, they hurt a little bit they were that tight! 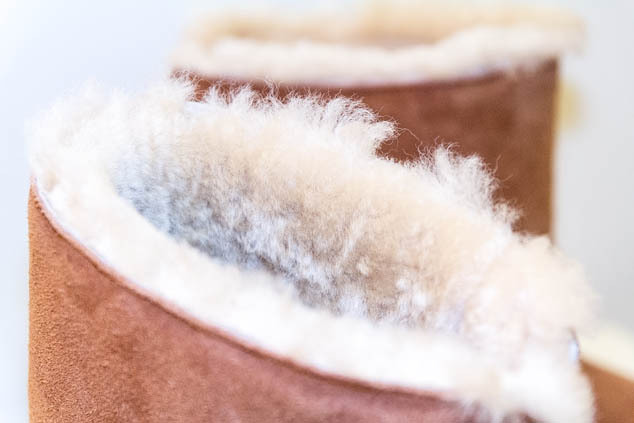 Quickly the wool bedded down and now is a snug fit around my feet keeping them really cosy without making them sweat the way synthetic products do. 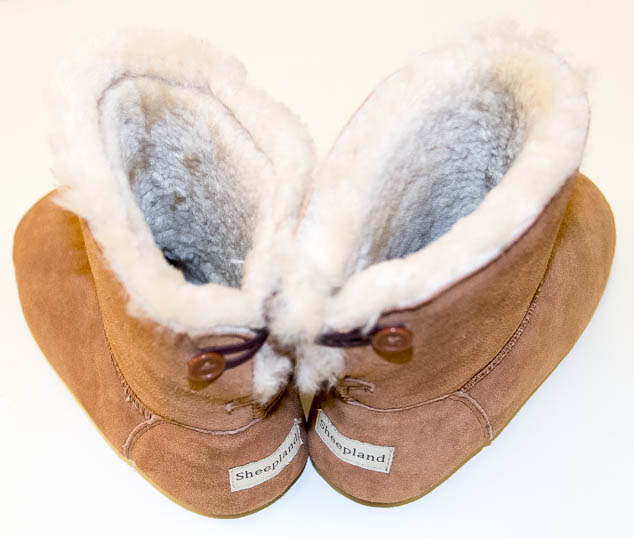 Sheepskin crafts is a family run business in Somerset and have a whole range of handmade products, from earmuffs, handbags, boots, hats and gorgeous RAF style jackets. I really like the look of their jackets, gloves and wedge boots. 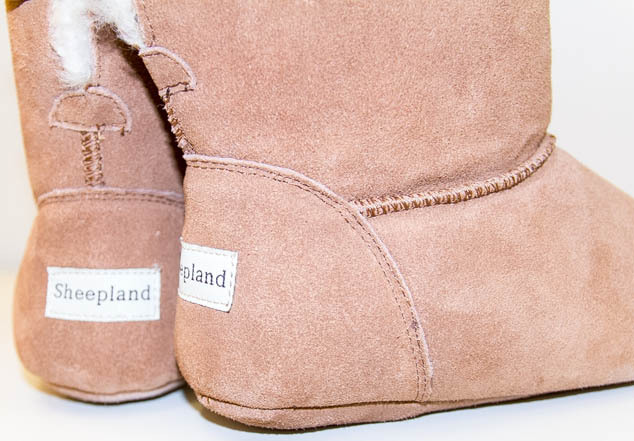 Check out their range here.